All the applicants must have cleared [10+2] exam conducted by the central board of secondary education(CBSE)/higher secondary school(HSE) or any of its state equivalents with a minimum aggregate of 50% marks overall along with Physics, Chemistry, and Mathematics mandatory subjects from any recognized university/institution. I got an MBA seat through AP ICET entrance examination conducted in the year 2016. Finally, I got 62 marks out of 200 marks and 15402 rank and got into Gudlavalleru Engineering College, [GEC] Gudlavalleru. 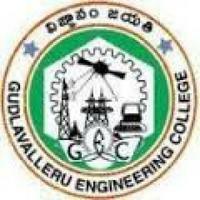 What is the Fee Structure in Gudlavalleru Engineering College, [GEC] Gudlavalleru?